Let’s have a colorful party! Use bright colors—red, turquoise, purple, green, and gold—for the maximum party effect! Or if you want a more quiet party, feel free to use the neutrals your heart desires. 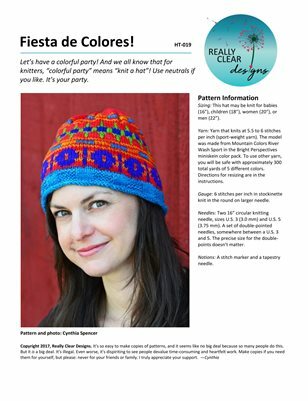 It’s your party, and you can knit how you want to.